Some mathemeticians and physicists are Platonists, for instance Max Tegmark and Roger Penrose. 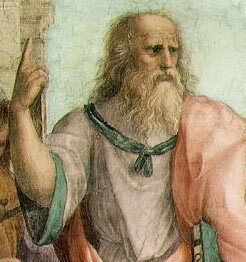 Yet today's Platonists usually view entities within the visible world as real, and simply regard universal abstractions like numbers, sets, propositions, and geometry as corresponding to real and timeless entities that also exist, though pure Platonists regard only the Forms or their realm as real. This page was last changed on 4 June 2013, at 01:21.